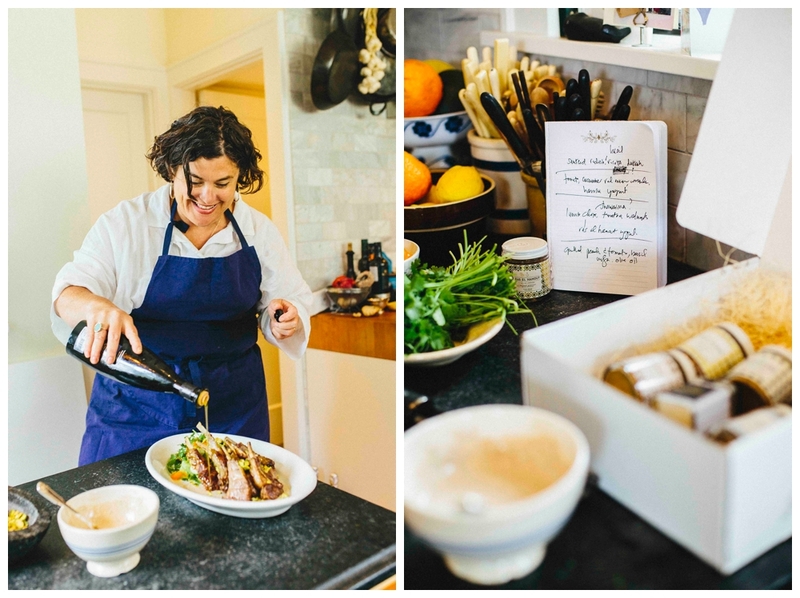 The restaurateur extraordinaire Renee Erickson (of Sea Creatures restaurant group, co-founder of The Walrus and the Carpenter, The Whale Wins, Barnacle, Bar Melusine, Bateau, Rana e Rospo, and the new Deep Dive in the Amazon Spheres ) was gracious enough to share with us her favorite recipes using VJ spices during our recent lunch. The proverb home is where the heart is comes to mind when watching Renee cook in her kitchen. Her simple and elegant style exposes beauty throughout and her love of cooking, culture and ingredients, never hidden, for those too are tucked neatly in all the corners of her home. Distinguishing characteristics seen also in her restaurant endeavors. The allure of Renee’s cooking comes from her use of clean, fresh regional ingredients and her ability to creatively blend the global influence of her travels abroad. A true artist, curious, open and imaginative, which is why our team was eager to ask Renee her favorite ways to use some of our spices at home. 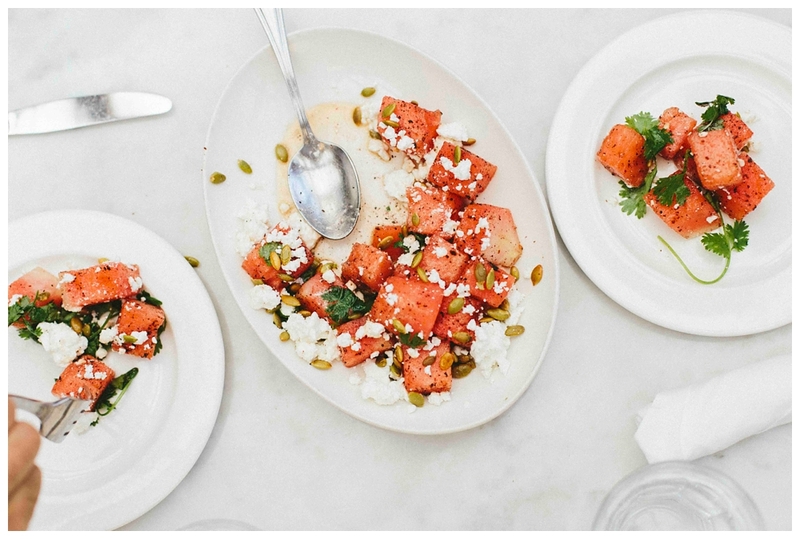 She tells us Ras el Hanout with Greek yogurt and grilled halibut is a regular occurrence on her kitchen table. 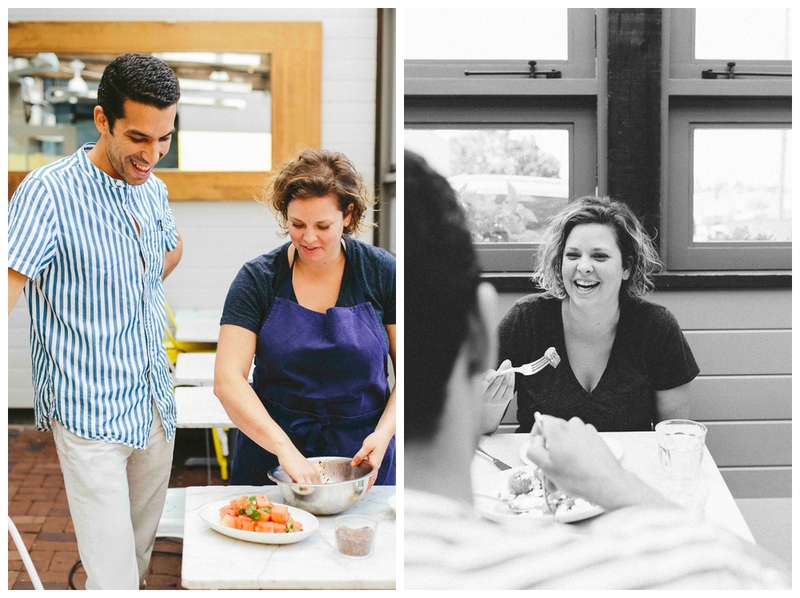 Renee & Mehdi reminisce on adventures and the most memorable Fish Tagine they had together in Morocco. Traveling home with friends has never been so easy. Renee’s adventurous spirit and love of culture and food made the sharing special and created a bond that has set the foundation for an enduring friendship and collaborative exchange that has supported Villa Jerada in its infancy until today. Ingredients tell only one part of the recipe story. Perspective matters, and with spices it’s good to include them beyond traditional uses. Renee does a great job blending our spices to local ingredients. Her creative approach inspires us to use our products in ways we had not yet imagined. 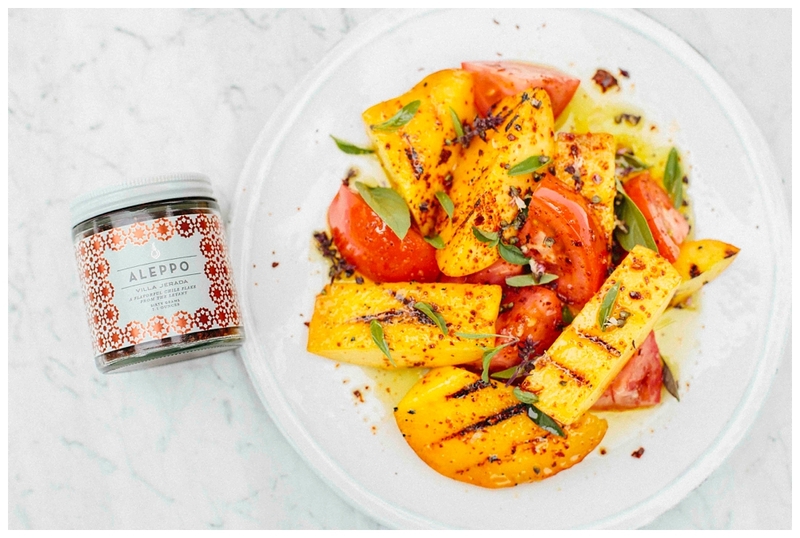 She made us a wonderful grilled peach and tomato salad with extra virgin olive oil from a farm we all stayed at in Marrakech and Aleppo pepper flakes grown in Turkey. We also had lamb chops with our Moruno Rub on a bed of greek yogurt whipped with Ras el Hanout, and radishes with Sumac, ricotta and Dukkah. When asked if she were to cook a dish for Moroccans using local ingredients, which NW dish would you cook? She said, “Steamed Dungeness crab with spiced butter”. Sounds delicious!!!! Nothing beats an awesome meal surrounded by friends that encourage you in your efforts. Renee’s kindness and determination to help and support her community moves beyond her relationship to food, to the very heart of her values, and who she is. It’s with gratitude for all her love, support and influence in the Seattle food scene and for cooking us a lovely meal in her home that makes the launch of our 'Meet the Chef' series extra special. Rub lamb chops with olive oil, sprinkle salt, and rub a generous tablespoon of our Moruno Rub for 4 chops. Add more spice to your liking. Cook radishes in olive oil, add salt. Remove from heat and add a generous sprinkle of Sumac. Rub peaches with olive oil, gently grill for 2 min. Cut tomatoes in chunks, mix in a bowl olive oil, lemon juice, salt and Aleppo pepper. Add the tomatoes, peaches and coat well. Serve on a platter and sprinkle with Thai basil.